Chichen Itza means 'mouth of the well of Itza'. It was large city and the capital of Mayan Empire. 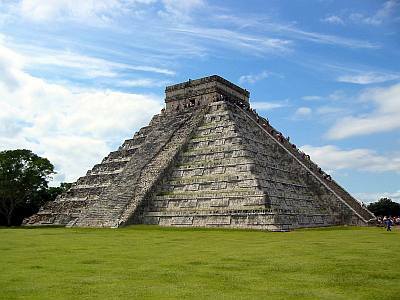 Chichen Itza was a powerful and important economic city between Late Classic period to Post Classic period. Isla Cerritos was made a port in the city of Chichen Itza. This site has wide range of architectural styles like Puuc and Chenes. Structures like the Temple of Kukulcan or El Castillo (the castle), two cenotes of which Cenote Sagrado or the Well of Sacrifice or Sacred Cenote, Temple of Warriors and the statue of Chac Mool, Great Ball Court, The Ossario pyramid, Akab Dzib, the Temple of Xtoloc, buildings like Las Monjas, Annex, La Iglesia and the Temple of Skulls are located here. It was an important political center during the Classic period. 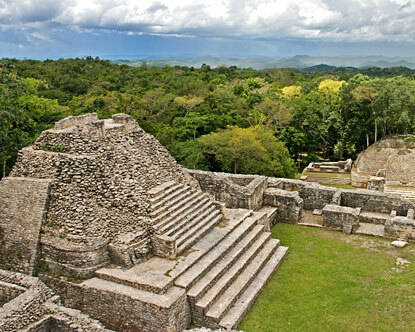 It is also the largest ruin site in Belize. Caracol is famous for its pyramids, royal tombs, houses, carved stones, monuments and burials. It was also known as Uxwitza. It is a Late Mayan period site, but its dominance over the city began to decline after Spanish invasion. It is one of the most visited archaeological sites. Tulum was served as a seaport and a major trade center. It was the only Mayan city situated directly on the ocean. At the centre of city lies a square. The rooms located in the structure are designed in classic Mayan style and on its front wall a figure has been sculpted with its head facing down. Structures like the pyramid of El Castillo (the castle), Temple of the Frescoes, Temple of Initial Series and House of Columns are located in Tulum. Temple of Frescoes is filled with wall paintings. It was also an important Mayan ceremonial center. The ruin site is popular for its distinctive architecture, roof combs and sculpture. Popular ruins like Temple of Inscription are located here. During the Classic period, it was an important ceremonial center. It is popular for its architectural structures. 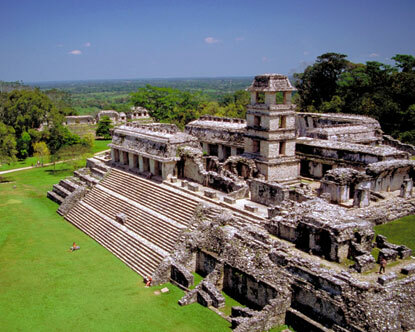 These structures were built sometime around 850-925 AD when, it was a capital of a late Mayan period state. It is also known for its elaborately carved facades. The structures are believed to symbolize ceremonies. 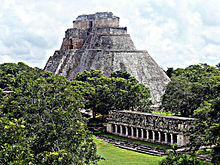 Popular structures in Uxmal are the pyramid of the Magician's temple. It is thought that it was built to appease rain god Chaac. Other famous site here is the Governor's Palace with a double-headed jaguar throne. It is popular for its towering Temple of the Two-Headed Snake. 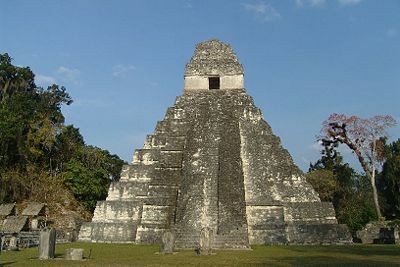 The Tikal dynasty is said to have its rule in 331 AD and prospered during the 6th and 8th century. Tikal was an important ceremonial centre. Temple of wooden lintels is located here. Tikal was the most developed Mayan city and was also the largest. It is also known for its interesting burials. Tikal Temple IV was built to mark the reign of Yik'in Chan K'awiil, 27th Tikal ruler. It is popular for its buildings and sculptures. The ruins here comprise of decorated stone carvings, large ball court and hieroglyphics. Mayans lived in Copan for more than 2000 years. It was a powerful city having control over a vast kingdom. The ruins in Copan date back to the Classic period.